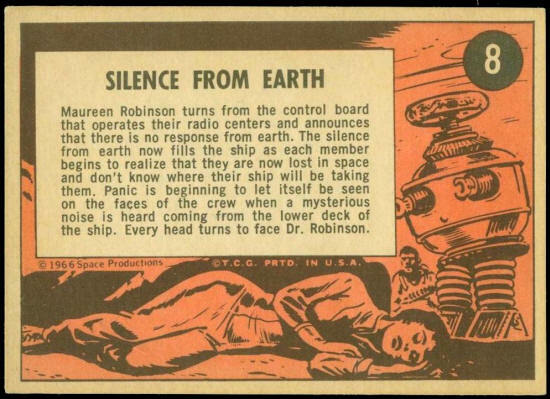 Maureen Robinson turns from the control board that operates their radio centers and announces that their is no response from earth. 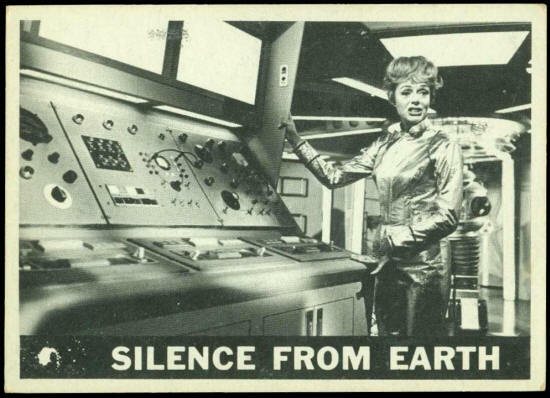 The silence from earth now fills the ship as each member begins to realize that they are now lost in space and don't know where their ship will be taking them. Panic s beginning to let itself be seen on the faces of the crew when a mysterious noise is heard coming from the lower deck of the ship. Every head turns to face Dr. Robinson.